First of all, let me start off by saying thank you. Seriously. THANK YOU! Thank you all so much for all of your sweet comments yesterday. The way that women in this community encourage and lift each other up is why I felt comfortable sharing what I did. This week has been a little crazy so I wanted to make sure I said thank you but also know I do intend to respond individually to each of you as well. 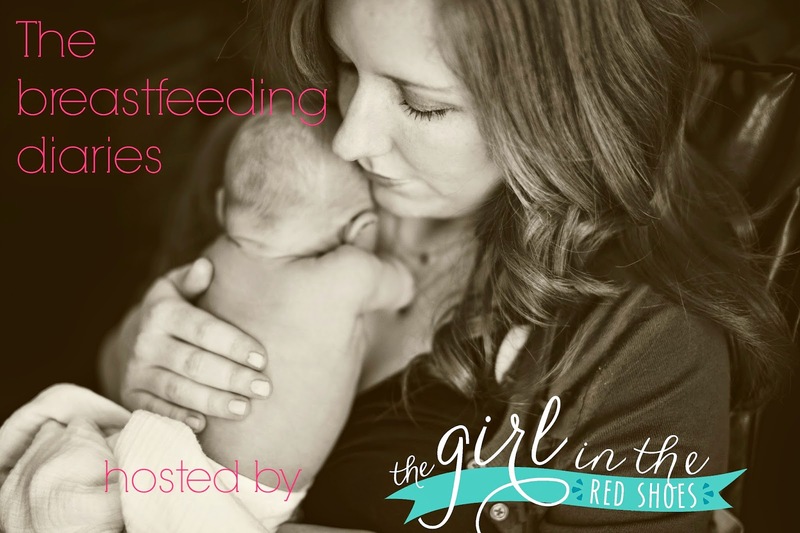 Second, I'm so excited to share that I am guest posting on Julie's blog, The Girl in the Red Shoes, today for her Breastfeeding Diaries series. I'm a planner. I like to have things organized and know what will happen when. So when I was pregnant, I got information on maternity leave and benefits and all that fun stuff way in advance (earlier than my HR department thought I needed it, but hey, I wanted to be prepared). When I was pregnant, before I even had Mason, I knew I wanted to breastfeed. And I also knew that I would need to go back to work when he was three months old, which would lead to pumping at work. I had a lot of anxiety about where I would pump once I went back to work. I work at a bookstore at a community college and there isn't a lot of privacy anywhere. You see, we have security cameras...everywhere. Well everywhere except for the bathroom and offices that have too many windows or no doors at all. Obviously I wasn't going to pump in the bathroom or in an office with no door. So, I started planning early. I contacted the Director of the Health Center and she so graciously offered to let me to come over to pump whenever I needed to. I had my plan in place. I thought I had all my ducks in a row... I had a pump, I had the parts and the bottles, I had the place, and I had a fridge to keep the milk in. I was set...or so I thought. Then, July 18, 2012 happened and I became a mom! It was the most amazing experience I had ever had. (You can read his birth story here). I knew I wanted to try to breastfeed him right away and the hospital and the nurses were all about that. They immediately brought him over to me and we started feeding. He actually did quite well the first time and I was pleasantly surprised. I even thought "wow, this breastfeeding thing is going to be easy!". Ahh, naive first mom thoughts. Just got done reading your story over there, and loved it :) Mason was so super duper cute as a baby! I just read your story. I struggled with Breastfeeding too and think switching to the bottle was the best for us too. Thanks so much for sharing! Love this series. Isn't it amazing what we will put ourselves through to make sure we're doing the right thing for our kiddo. Love your story. Mason is so adorable! Loved having you today! 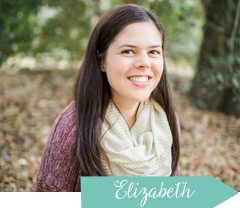 Thank you so much for sharing your story!